Dennis Hoyle, current Chairman of the South Dakota Soil Health Coalition, has been a member of the board since its beginning in 2015. He attended Black Hills State, Northern State, and South Dakota State. Additionally he currently serves as an Edmunds County Commissioner, Advisor for the Edmunds County Conservation District, as well as a member of both the Edmunds County Predator Control District Board and Five County Translator District Board. 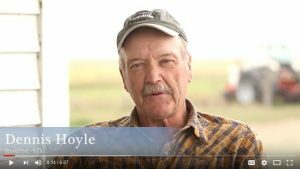 Hoyle’s agricultural operation includes raising cow calf pairs, finishing grass fed beef, some grain farming as well as wild pheasant hunting. 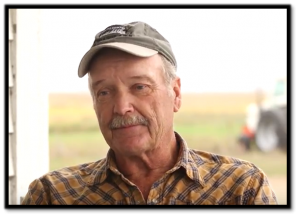 As a passionate soil health advocate Hoyle utilizes No-Till, rotational grazing, cover crops, and works to integrate livestock grazing onto cropland. 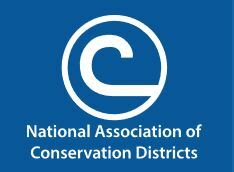 Produced by the SD Association of Conservation Districts and the USDA Natural Resources Conservation Service South Dakota.